Lets take another look at the decision on how it has worked out since then. Zito was a filthy dominant LHP during his days in Oakland. Crossing the Bay Bridge over to San Francisco began a downward trajectory that he never recovered from. Zito did fashion a heroic and unexpected winning streak down the end of the 2012 year, that culminated in a World Series Title. $126 MIL over 7 years was a tough price to pay for it though. 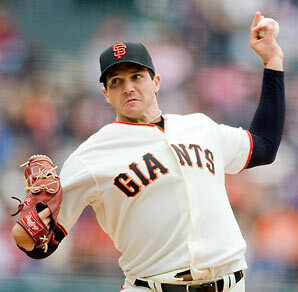 Barry Zito (29) December 29, 2006: Signed as a Free Agent with the San Francisco Giants. With the exception of the 2012 year, Barry Zito did not live up to his 7 Years and 126 Million Dollar contract he signed with the San Francisco Giants since leaving the Athletics. Despite a 15 – 8 year for the SF club in that year, he held a 63 – 80 (.441) record for San Francisco lifetime with a 4.62 ERA. The LHP is a Free Agent now. He was 102 – 63 (.618) and a 3.55 ERA with the A’s before leaving at the age of 29. The guy made 18.25 Million in his Oakland days and he pocketed 126 Million with SF. The only saving grace was that the Giants won the World Series in 2010 and 2012. Zito was so instrumental down the stretch for San Fran, and in the playoffs for 2012, it almost up for the $$ spent.. Almost. Mark Mulder battled a myriad of injuries once he arrived in St. Louis. A once ace pitcher in Oakland was out of baseball just a few years later. The A’s have had several players that have been brought into the organization that resulted from the initial trade in 2014. Mark Mulder never was the same pitcher in the NL and was out of baseball four years after being traded to St. Louis. His A’s career had netted him an 81 – 42 (.659) record with a 3.92 ERA. He was only 22 – 18 (.550) and a 5.04 ERA with the Cardinals before retiring. As you will read in this article below, the franchise made a worthy trade in returns for this man. Mulder made 25.3 Million in his contract with the Cardinals after making only 8.4 Million with the A’s. The crafty lefty tried a comeback this spring (2014) before suffering a broken ankle with the Angels. 2. Mark Mulder drafted by the Oakland A’s in 1998. 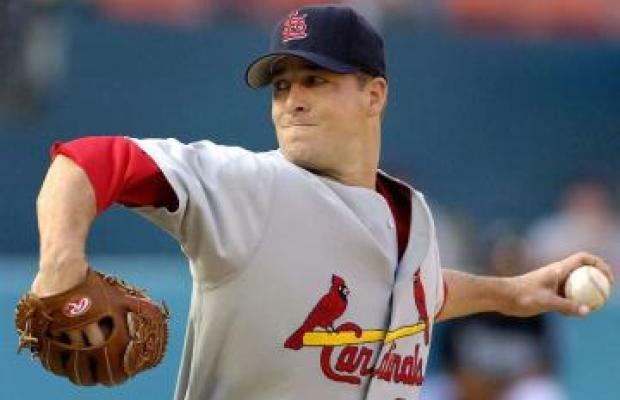 December 18, 2004: Traded by the Oakland Athletics to the St. Louis Cardinals for Daric Barton, Kiko Calero and Dan Haren. Dan Haren went 43 – 34, with a 3.68 ERA for the A’s in his time there. Daric Barton (28) 1B: still remains with the A’s – has a .248/.357/.367 Slash in 1713 AB, and led the AL in Walks for the 2010 season. Kiko Calero (39) RP: Had a 3.96 ERA in 159 IP from 2005 – 2008 before being released. Haren was used to trade to the DBacks for Carlos Gonzalez. CARGO was traded for Matt Holliday, who was flipped to the Cardinals for Brett Wallace, Brett Wallace was the main part coming back from Holliday in the St. Louis trade, and he was later flipped for Michael Taylor from the Blue Jays. Suffice it to say, the A’s have carried a lot of future assets from the original flip. In the fold, is also Drew Pomeranz as a result from the Dbacks trading for Dan Haren, and using Brett Anderson as part of the package from Arizona, that also included Chris Carter. Drew Pomeranz was just traded with a Minor Leaguer for Yonder Alonso and Mark Rzepcynski. They will still have 2 players on their Major League Roster from the Mulder deal. Kind of makes up for the Hudson trad. Tim Hudson (28) December 16, 2004: Traded by the Oakland Athletics to the Atlanta Braves for Juan Cruz, Dan Meyer and Charles Thomas. Juan Cruz (35) RP: Traded by the Oakland Athletics to the Arizona Diamondbacks for Brad Halsey. Cruz only played 28 games for the A’s – and brought in a 7.44 ERA. Brad Halsey (33) RP: He played one year as a Starter and Reliever for the A’s in 2006, holding down a 4.67 ERA in 94.1 IP. He was released in 2008 by the club. After near an 8 ERA (7.98) Dan Meyer was claimed off of waivers by the Marlins, ending his 44 IP worth of work. Charles Thomas was out of the majors after one year with Oakland. May 4, 2007: Traded by the Oakland Athletics to the Milwaukee Brewers for JD Closser. JD Closser never appeared in a big league game for the A’s and was released the year. Tim Hudson on the other hand, has been one of the better pitchers in the NL for the last decade, still toeing the hill for the Giants at the age of 39. He was 92 -39 (.702) with a 3.30 ERA for the A’s. He finished out his career 130 – 94 (.580) – with a ERA of 3.62 in the NL. He definitely has been worth the $ invested (117 Million paid when he finished his deal with the Giants .) Still though, He only made 4.5 Million in his 6 years with Oakland. Total Record for 3 other teams was 215 – 192 (.526) with well over a 4 ERA abroad – and they made 268.8 Million away from Oakland, whereas they were 275 – 144 (.656) – with a mid 3 ERA – and made a total 33.15 Million Dollars with the Athletics. I would say Beane made the right decision in not signing them. Out of the big 3 pitchers once all in Oakland, Hudson asserted himself well in the decade since leaving the Bay Area. 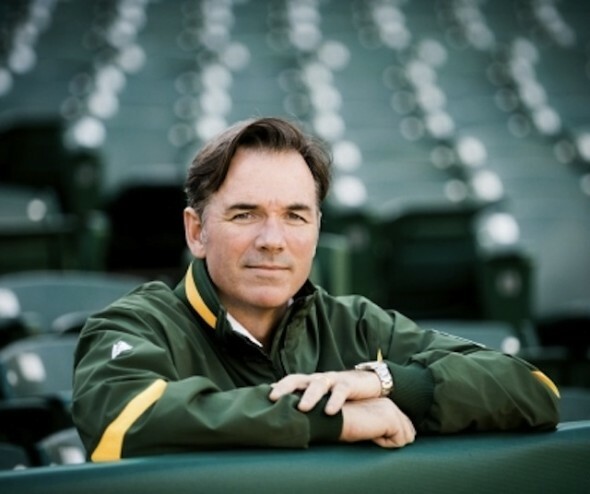 Beane was proved right by the total of all 3 players – not just Hudson. Posted on April 16, 2014, in The Rest: Everything Baseball and tagged anthony gose, Atlanta Braves, billy beane, brad halsey, brett anderson, brett wallace, Charles Thomas, colorado rockies, dan haren, dan meyer, daric barton, drew pomeranz, jd closser, jed lowrie, juan cruz, kiki calero, matt holliday, michael taylor, oakland atheltics, san francisco giants, st louis cardinals. Bookmark the permalink. 6 Comments.